Wasn't sure where exactly to make this, it seems like it could relate to development but whatever, move this it the needs be. I'm having trouble splicing in a 'mission'. Basically I copied the Chelsie pack and changed the character xml, the board png, everything applicable (I think), but the place isn't appearing in the travel menu. Well that's what I posted to the Noxico thread on Fenforum. I'll dump the files so Kawa, or anyone who knows what's happening, can take a look. It's probably something I'm just overlooking. For me, it worked out of the box, except for this one part where PlayMusic was given a null string. I got nothin'. Tried deleting the folder and replacing with what I archived. Did you start a new game? Missions are applied when a new world is created. Yup, even wiped out any old saves there were. I know the manifest is correct -- if there were but one listed file missing, the entire thing'd be skipped. aye, its in the data folder that came from the command line, which I should add, conflicted with the .mix until I renamed the folder to 'Noxico'. what if the mix file is taking priority? I could test that by changing a body plan in the folder and seeing if it the change shows up, but I'm on a bus right now. The game wants a folder named "data". Would be better to change an entry in words.xml, assuming you're running a recent enough copy, cos that's faster to check. When this appeared before, I deleted the changeling stuff in the wip folder; it the moves on to saying the human bodyplan is defined twice. Figured it out. The spreader places everything in /data alright, but also gives each foo.mix file its own /data/foo[i]. 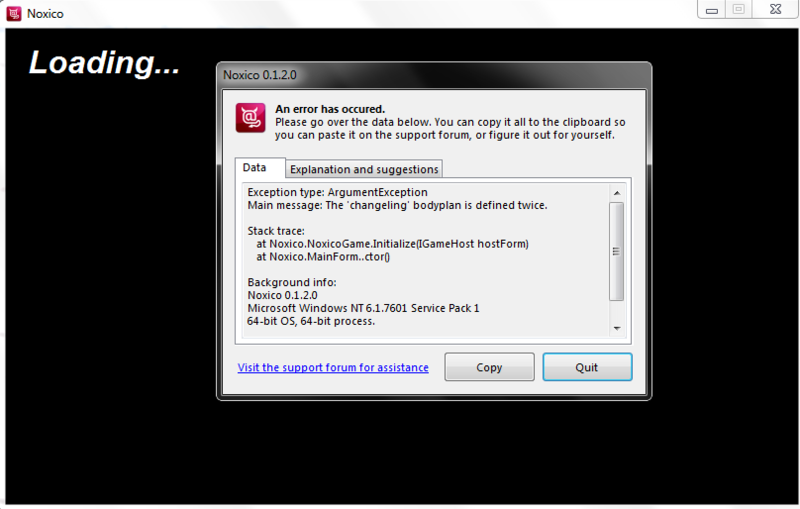 When merging XML data, it'd see a Noxico.mix/bodyplans.xml, and a /data/Noxico/bodyplans.xml. The [i]effective file name is "Noxico/bodyplans.xml", which ends with but is not equal to the requested "bodyplans.xml" so it's considered an expansion instead of a replacement. In my build, this would end up replacing each bodyplan as their IDs match. To me, it broke on words.xml because of its category elements. Took me a bit to figure out. 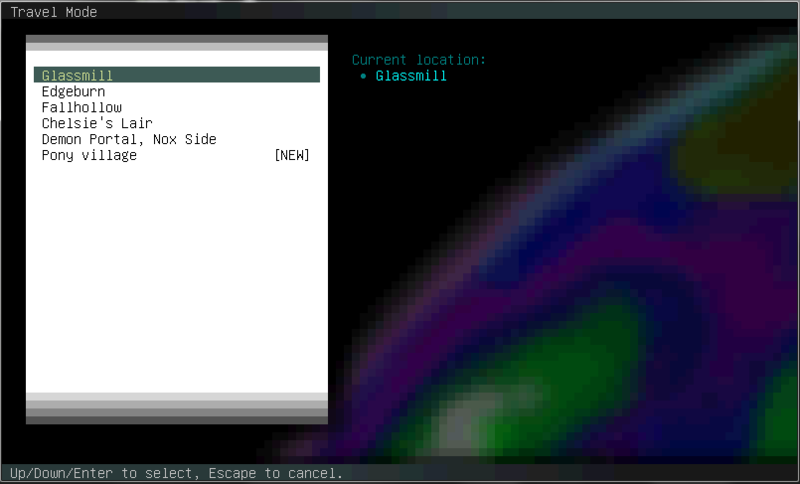 So here's an all-new build, executable only, that doesn't do that thing with the extra subdirectories. Remove the data directory, except for data/missions/rothfale, and try again. Incidentally, big honking copy button. That's poifect. thanks a lot. Page rendered in 0.022 seconds with 28 MySQL queries.